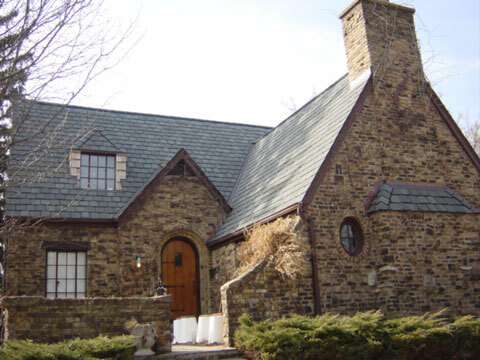 Hello, I'm Gerry, founder of G. Klemm Roofing, Co. and welcome to our new web page. I assume you are here because you have a roof problem or are anticipating the need for a new roof. Either way, we can help! I started G. Klemm Roofing in 1994. My goal has always been to provide an honest and professional service for residential reroofing and repair in the Tri-Cities and surrounding communities. I wanted to help raise the bar in the trade by providing quality roofing work to homeowners done by first rate craftsmen who would treat the job as if it was their own home. Our motto is simple: No repair is too small and we will never try to sell you a roof before it's time. From your basic 3-tab to designer architectural shingles, Wood shingles to Composite, Synthetic and Metal roofing, Our professional installers are on top of things. Standing Seam Copper, Aluminum, Steel, Corrugated metal, bay windows, porches, We can make your house outstanding. EPDM Rubber, Modified Bitumen, TPO With over 40 years of experience Low-slope roofing is just one of our specialties. We won't try to sell you a roof you don't need. Our qualified repairmen will diagnose your roof issues and do our best to resolve them. We can replace your old existing skylights or add a new skylight or sun tunnel to bring light into a dark room or hallway and brighten your day! Proper ventilation is necessary to help prevent mold growth in attics, reduce cooling costs, prevent ice dam issues and extend the life of the shingles. Had an ice dam causing significant water damage to our home. Called G. Klemm and Jerry was out within an hour on a ladder clearing the ice dam. Very professional and timely. Thanks G. Klemm for saving the day! Great company! We have had Steve out 3 times for different issues and every time he amazes me. Very direct, honest and trustworthy. The repairs he has done have been great! They are a definite go to for roof and gutter needs! Thank you Jeff Rosier for talking me through the panic of a leaking roof in the dead of winter on a Sunday. And thank you for showing up as promised in time this morning to address the leaking roof and the ice damn that has now damaged by bathroom wall. I look forward to doing more business with G. Klemm Roofing....after this snow melts! Courteous. Kind. Knowledgeable. Affordable. I first started roofing for my father in the late 1960's. He was a contactor in the Wheaton area. He passed away far too early in 1976. At the time, I was not prepared to take over the business and spent the next 18 years working for numerous companies in the construction industry in the area. I spent many years in the flat roof union and worked with a wide variety of products. I also worked as a superintendent for a custom homebuilder in St. Charles. My last job as superintendent and foreman for a roofing company in Winfield was for a very demanding employer and I made the smart decision that I needed to stay married to my lovely wife as opposed to that job. At that time I decided now was the time to start my own business. The residential roofing industry was changing and the storm chasing business model was becoming the norm. These companies pop up after a storm and swamp the area with inexperienced "sales" people who try to use fear to convince homeowners that they have hail damage. The "damage" they find is usually normal wear and tear but when promised a free roof many homeowners find it hard to resist. Unfortunately a good number of these companies are not what they claim and it is not uncommon for them to tearoff a perfectly good roof and for the roof they put on to leak within a few years and the company is long gone. The labor pool was also changing, becoming dominated by cheap foreign and out of town workers. Over the years, the business has grown and we have become well known as a company that can solve problems where others attempts have failed. Today we have ten excellent employees and we also use a great sub crew. We service other communities but concentrate on our core area. We do not travel too far to do our job. I feel the further one travels the less attention they can give to any one location. We Are Your Local roofer.